Parents are often confronted with brochures asking them to make an expensive investment in collecting and storing their baby’s cord blood. How to decide? It’s clear that if money weren’t an issue, this would be an easy choice. I would resoundingly say yes, and enable children to give this amazing gift to themselves and their families. But the real question is, “Is the definite cost worth the possible and potential benefits?” The answer will be different for each family, depending partly on the family history and on your economic situation. There are many investments that may be better choices than this one, such as a safe home or car or food. But reducing from a daily 20-ounce latte at a popular coffee joint to a 12-ounce latte six days a week could cover the cost of storing the cord blood, and may be a sacrifice worth making. This is a wonderful topic to discuss with your doctor before the birth, to help you sort out what is best for your family. Cord blood companies often emphasize that you only have one opportunity to collect cord blood. This is true, to a degree. You might, of course, store cord blood from a future child for your family. Or you might store stem cells from another source. Cord blood cells are unique because they are so immature that they allow a greater degree of mismatch while still being compatible with someone. But stem cells that otherwise have incredible power might be collected later. My youngest son, now 8 years old, put his tooth under his pillow this weekend, giggling with anticipation of what the tooth fairy would bring. Across the country, Songtao Shi, a pediatric dentist at the National Institute of Dental and Craniofacial Research, has been putting the teeth of his daughter of about the same age into a glass of milk in the fridge. Why? Shi and his colleagues have discovered that recently lost baby teeth contain powerful stem cells. They could prove to be an excellent alternative to fetal stem cell harvesting, understandably controversial despite its enormous therapeutic potential. Baby tooth stem cells may one day be used to repair damaged teeth – or perhaps even spinal cord injuries, diabetes, or degenerative diseases. I asked Dr. Shi about this. He said that baby teeth stored overnight in milk at about 40 degrees F are still loaded with living stem cells in the morning. 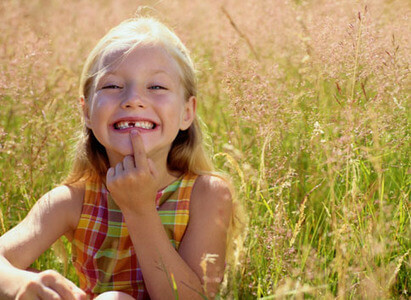 One day soon, people may well drop off their baby teeth at the dentist’s the next day. The stem cells could be frozen and stored for years and years, available for transplant or treatment if needed. My guess is that this will become practical while my son is still losing his baby teeth. I hope so. My daughter was born on Christmas morning, and I can tell you that she herself is a greater gift than anything she could have given (including stem cells).